The votes are in! 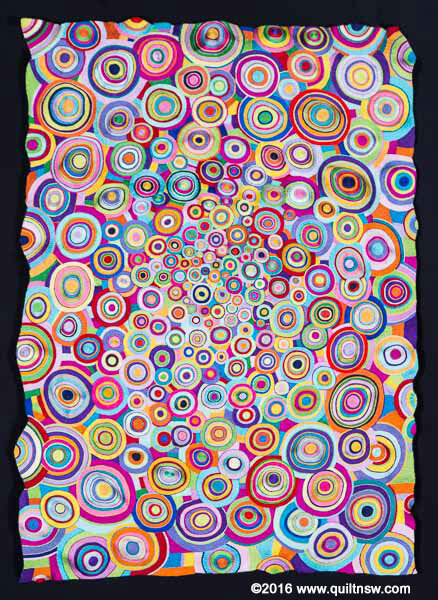 First Prize Viewers' Choice goes to Narelle Birchall for Love Entwined (Design Source: Esther Aliu). Narelle receives products to the value of $300 from Leutenegger. 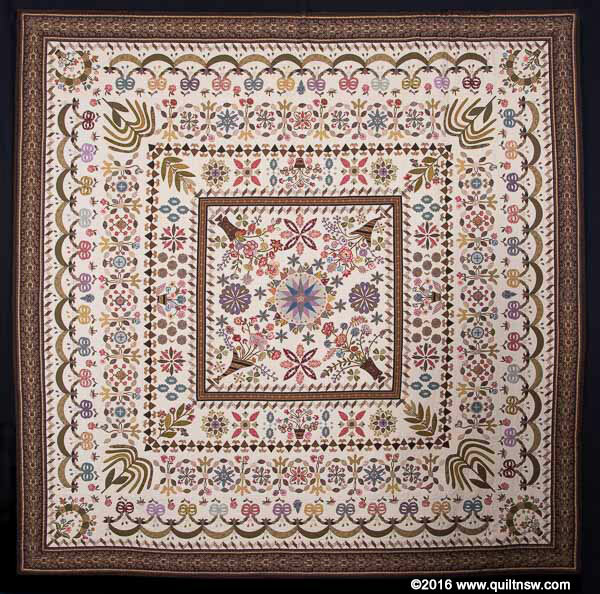 Second Prize Viewers' Choice goes to Julie Adamson for Time, Sand and Arabesque. Julie receives $200 product sponsored by Dyed and Gone to Heaven and wadding pack sponsored by MiniJumbuk Nu-Wool Wadding. View all the prize winning quilts in the Sydney Quilt Show 2016 Online Gallery. 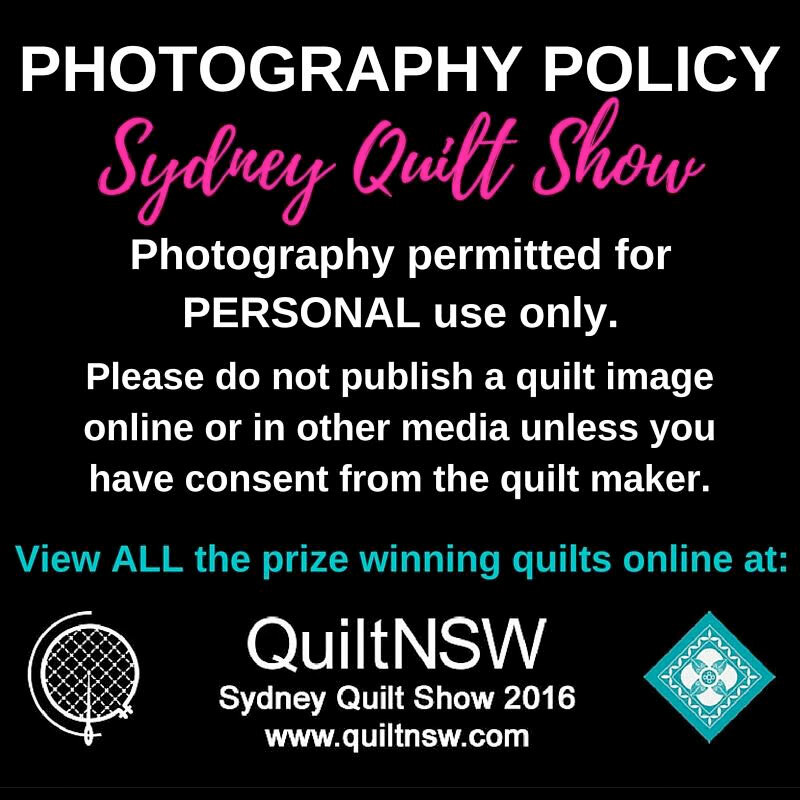 If you sign up online at the special iPad booths at the entrance to the QuiltNSW exhibition area, the joining fee of $15 will be waived. 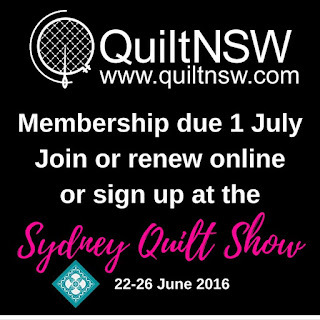 Check at the membership desk at the Sydney Quilt Show today! A free activity, operating Saturday& Sunday. 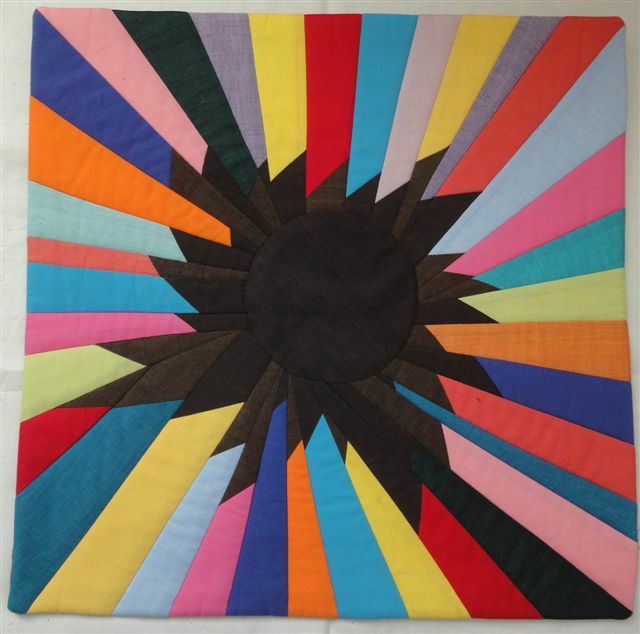 Introducing children to the delights of colour, fabric and block designs. This year there is the opportunity for kids to try sewing on a BERNINA machine, Simply Red 215. 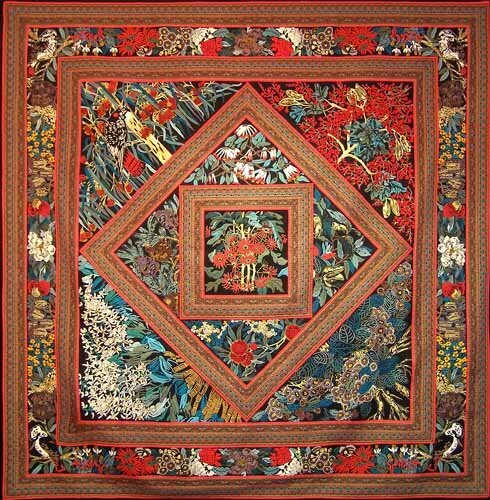 Any patches sewn together will be made into a quilt for a children’s charity. 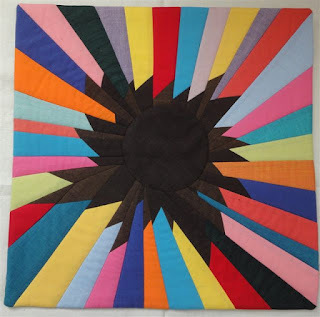 My exploration of folded point blocks such as Pine Burr, Somerset Star, Pointed Star and an old Chinese folk quilt have resulted in a sampler that is a whizz bang explosion of colour, form and fun! 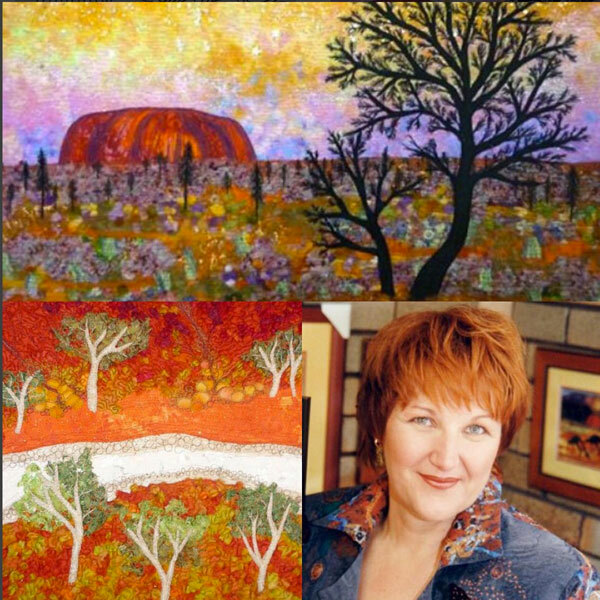 THANK YOU to the many individuals and companies who support our show with their generous sponsorships. 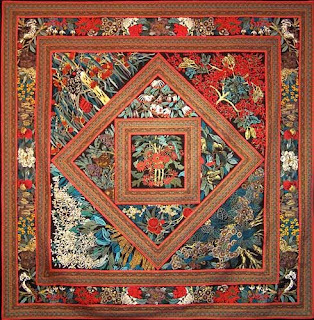 Without each and every one of them it would not be possible to mount such an impressive exhibition. 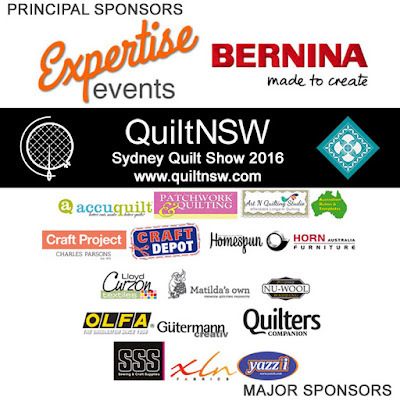 Our principal sponsors Expertise Events and BERNINA have once again provided their valuable support to make this show such a success. Please show your support for our sponsors as they continue to support us. 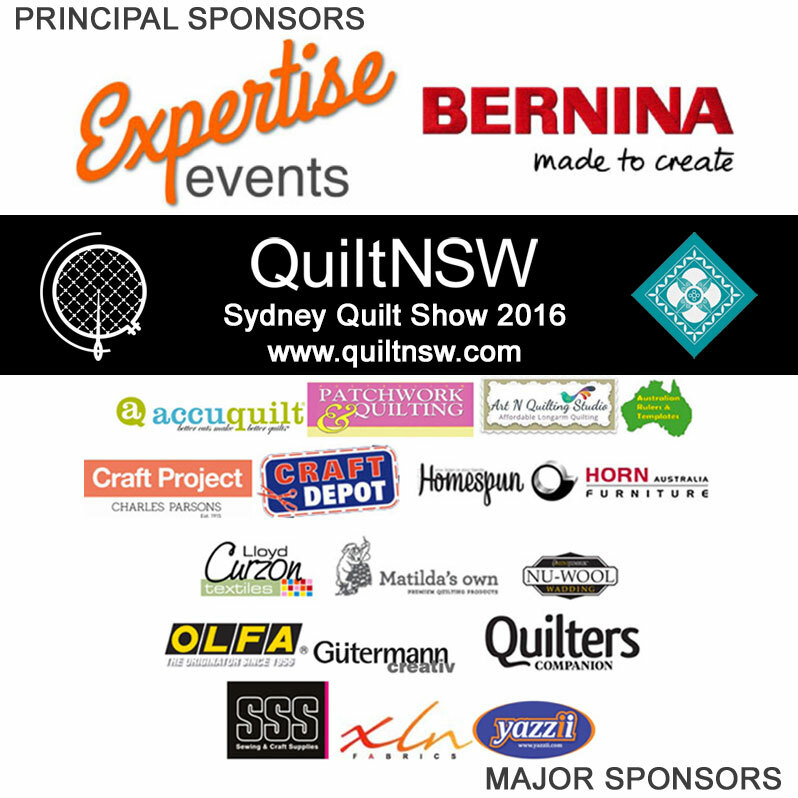 View the full list of Sydney Quilt Show 2016 Sponsors. 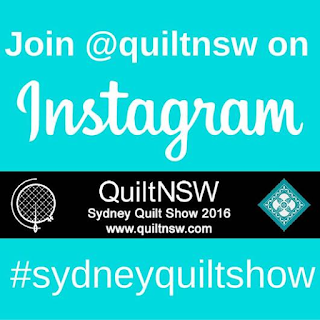 Remember you can follow QuiltNSW on Instagram and add your own contribution to the show celebrations with the hash tag #sydneyquiltshow You can find us on Facebook too! The quilts are in. Judging day is over. 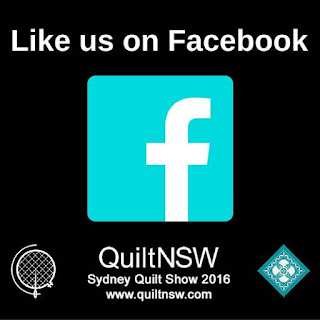 Set up is currently under way at Glebe Island (see the video below) and the Sydney Quilt Show 2016 opens tomorrow! Here are some tips to help you plan your visit. 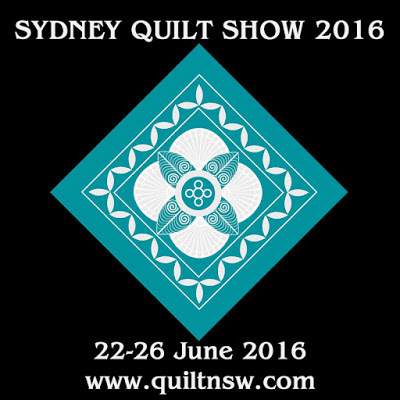 QuiltNSW welcomes you at the Sydney Quilt Show 22-26 June 2016: daily from 9am-4.30pm. DRIVE, TAXI or PRIVATE CAR. Park before 10am and save. PEDESTRIANS walking from public transport points can catch the FREE shuttle bus. See the Expertise Events website for full details or download the How to Get There flyer. ALERT: If you are travelling by train on the Illawarra / South Coast lines, there will be trackwork on those lines on Saturday and Sunday, 25 and 26 June 2016. The awards ceremony is at the new time of 1pm on Wednesday 22 June 2016. 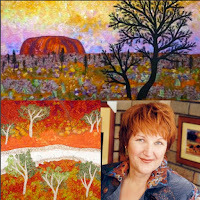 A comprehensive online gallery of prize winning quilts will be posted on the QuiltNSW website soon after that. 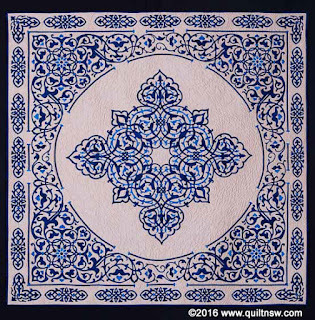 The results will also be shared on QuiltNSW Facebook page and Instagram. In the meantime, you can download a copy of the Sydney Quilt Show Catalogue (1.8MB PDF).Find out where your quilt will be hanging, read about the special exhibits, look up the timetable for the Meet the Teacher demonstrations and more. 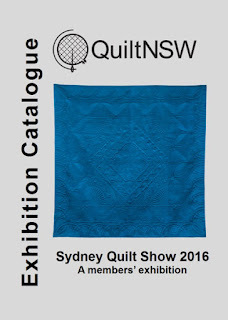 An abridged version of the catalogue is available at the show. 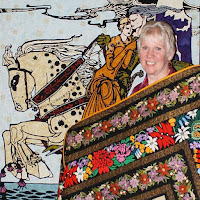 If you have entered a quilt, you can collect your copy from the volunteer sign in desk. Remember to wear your exhibitor ribbon and/or membership badge. And don't forget to pack your camera or smartphone! You are welcome to take as many photos as you like of the exhibition for your own personal use. 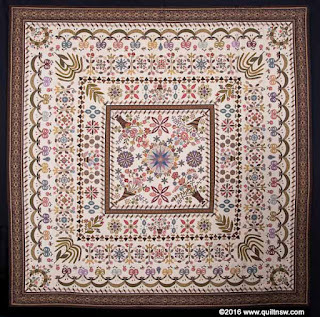 Posting your photos online is fine too so long as you have obtained consent from the quilt maker and include attribution. Please respect the copyright of our members. 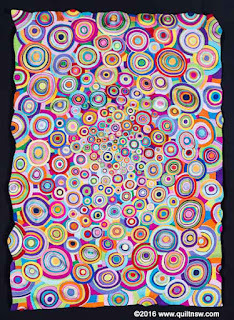 We look forward to a stream of colour, excitement and quilts on Instagram at #sydneyquiltshow. 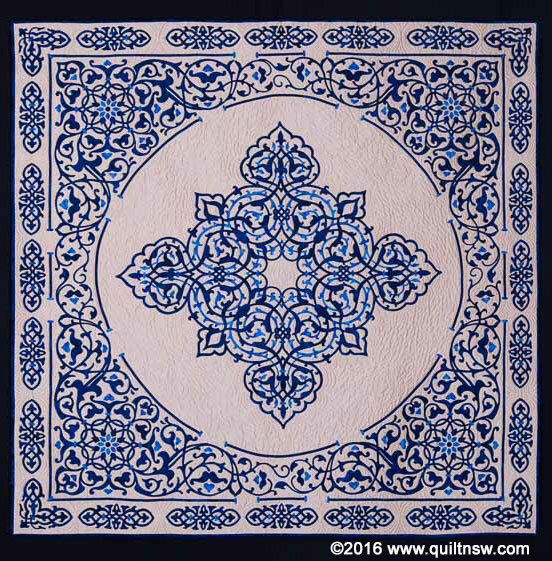 QuiltNSW now has facebook and Instagram pages for you to enjoy. 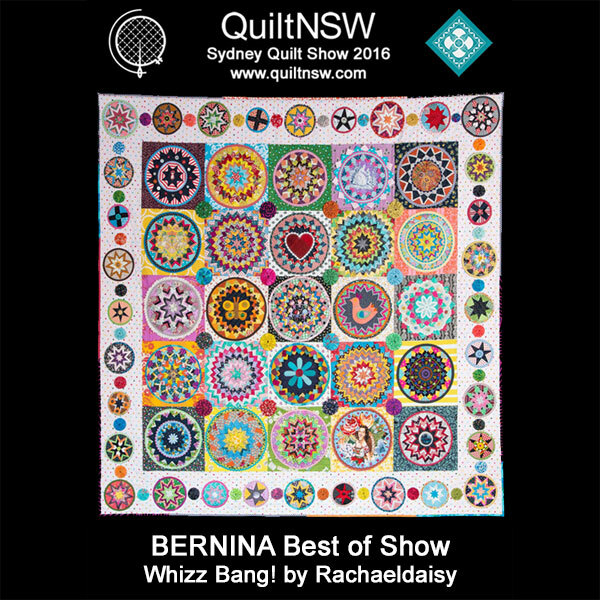 Keep up to date with all QuiltNSW activities and the upcoming Sydney Quilt Show. You don't have to be on facebook and instagram to enjoy the updates. 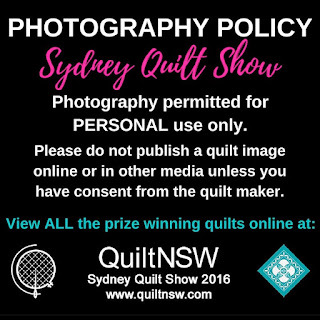 Keep an eye on #sydneyquiltshow to see all the images shared over the show weekend. 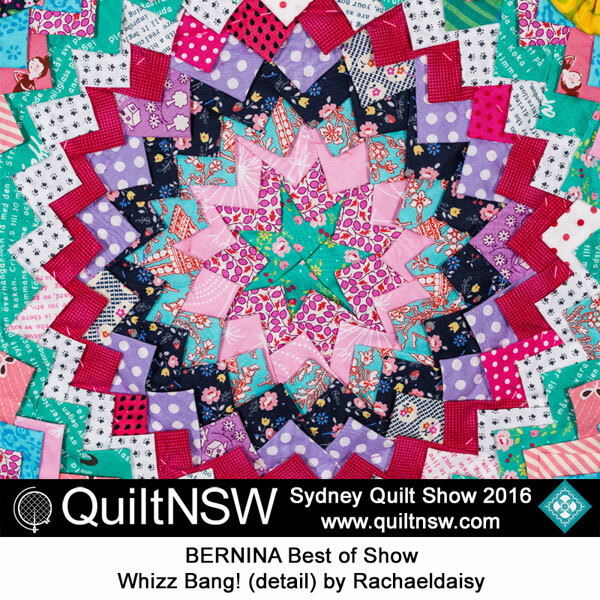 The Sydney Quilt Show is fast approaching.